An important part of Georgia ForestWatch’s mission is to protect Georgia’s last remaining wildlands – pockets of forested land that are wild and without roads, and home to some of the most remarkable biodiversity in the world. These wild places offer unspoiled scenic beauty and an escape from our fast-paced urban lives. For many of us, there is no greater joy than to hike deep into the woods where the sights, smells and sounds are only those of the forest. Some of these wildlands in the Chattahoochee National Forest are permanently protected within the National Wilderness Preservation System (117,837 acres), and almost 65,000 acres are protected as Inventoried Roadless Areas. Unfortunately, many important wildland tracts in the Chattahoochee National Forest remain that are not adequately protected (approximately 300,000 acres). The public will have a voice in how these unprotected special places are managed when the current Land and Resource Management Plan (“Forest Plan”) for the Chattahoochee-Oconee National Forest (CONF) is revised in the next 2-3 years. During plan revision, the Forest Service conducts an inventory of areas that meet roadless or similar criteria, and considers whether to recommend these areas for Wilderness or other protective designation. Thus, the plan revision process provides an opportunity for the public to press for the recognition and protection of these last remaining wild places. One essential component of ForestWatch’s preparation for the plan revision is to update the report, “Georgia’s Mountain Treasures: The Unprotected Wildlands of the Chattahoochee National Forest,” compiled by The Wilderness Society in 1995, with the help of allied organizations, including ForestWatch. 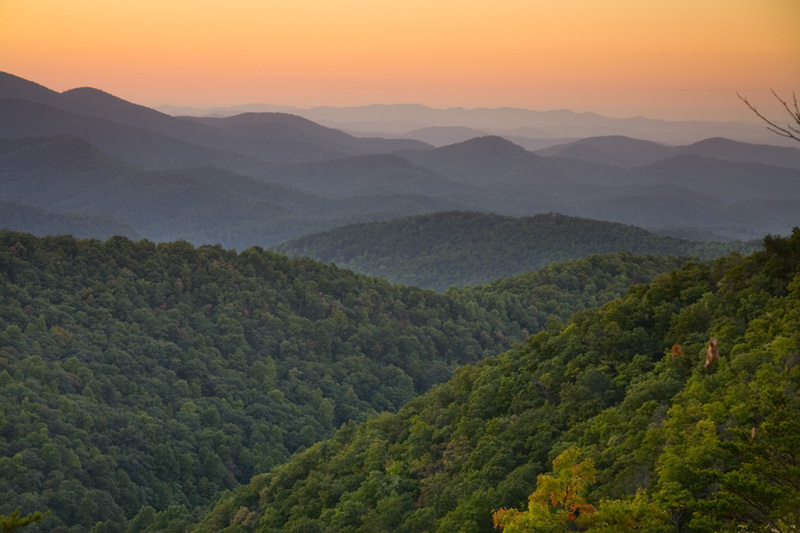 The original publication was part of a Mountain Treasures series by The Wilderness Society in the 1990’s that identified and described the unprotected wildlands in each of the six national forests in the Southern Appalachians. The Mountain Treasures series emerged at critical times in the forest planning processes for these national forests. The purpose was very specific: to give the public accurate, detailed information about wildlands in these forests so citizens may speak effectively on behalf of these special places. ForestWatch staff and volunteers are updating existing information in the Georgia’s Mountain Treasures publication, and providing more detail on road conditions, public access, unique vegetation and wildlife habitats, old growth forests, recreational uses, wilderness qualities, etc. With the help of volunteer photographers, recreational users, and other plant and wildlife experts, we want the public to know how special wild places like Mountaintown are and why they should be protected. As we survey the Georgia’s Mountain Treasures areas, we will provide “snapshots” of some of these areas on this issue page. If we’ve missed something special about these Mountain Treasures areas, please let us know. Our goal is to protect the last remaining wild and special places in the CONF in the upcoming forest plan revision. The Georgia’s Mountain Treasures publication can be viewed here.